The ultimate alternative to clay, rocks and concrete! Modeling powder NonaD white NEW! 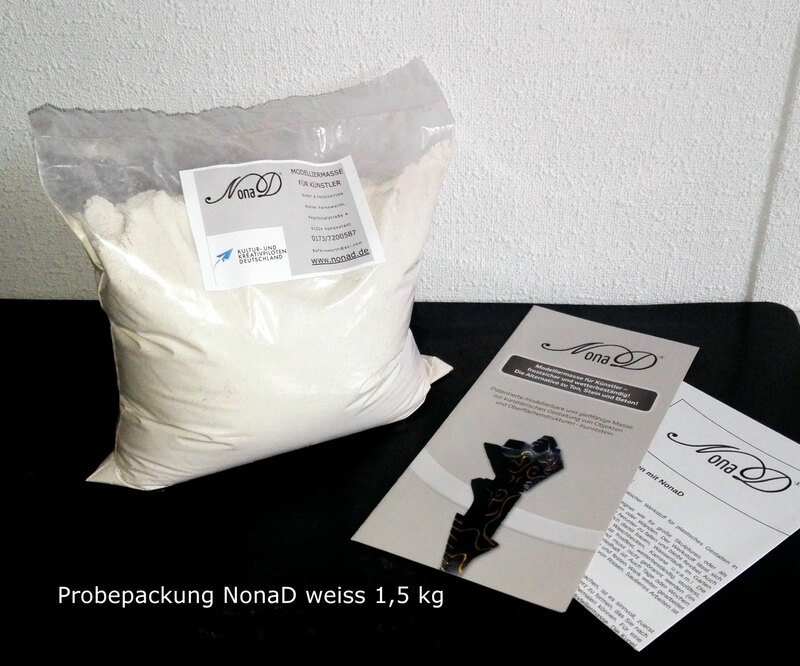 NonaD in white is suitable for your own coloration with cement based Pigments. If you want to paint on it a white primer isn`t needed. 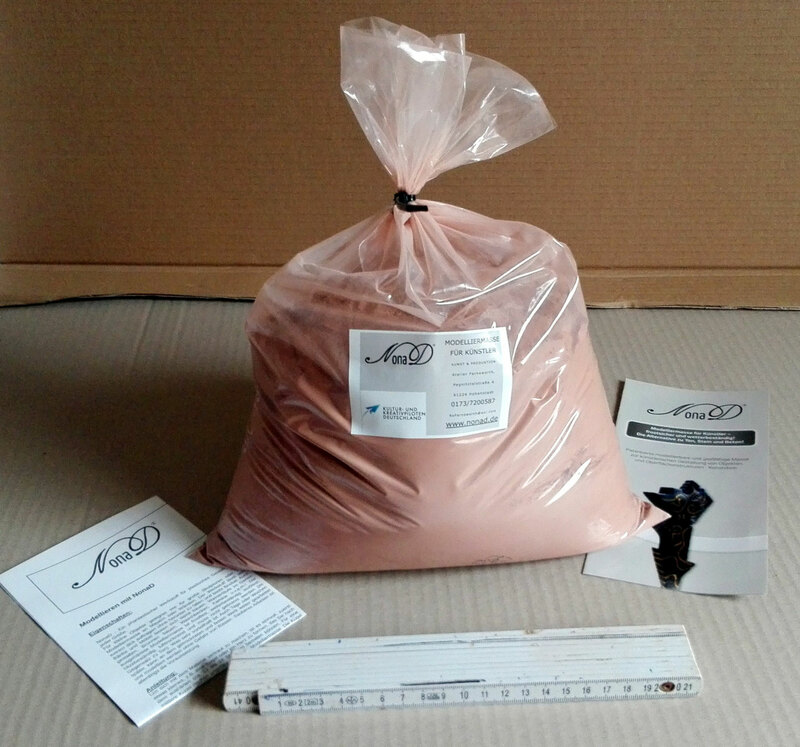 The powder is mixed with water and can be modeled within at least 2 hours. The material can be smoothed, cut, drilled, and engraved comparable to sandstone after the curing by air. An instruction will be send with the order. It´s also to find as a download. 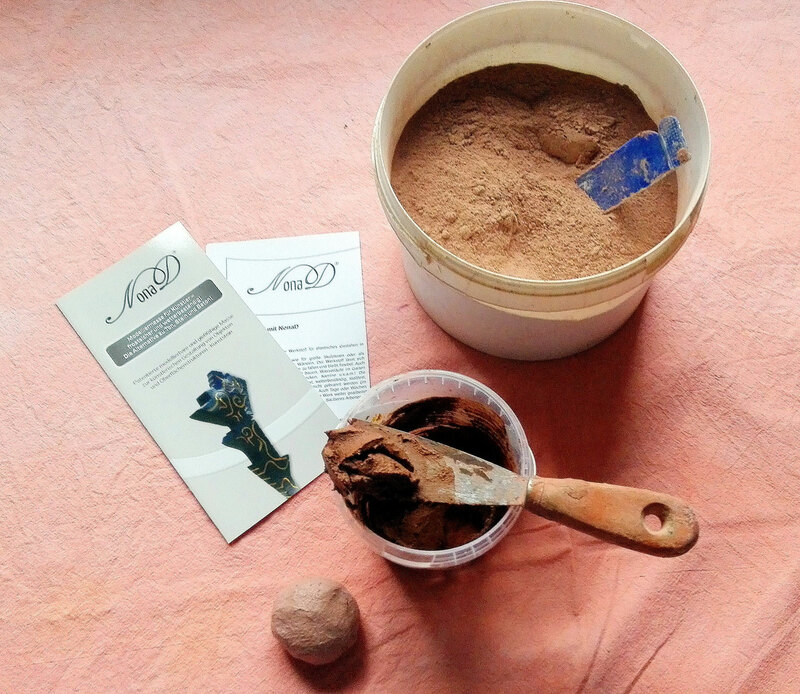 The especial about NonaD is its simplicity, yield and sensuality. 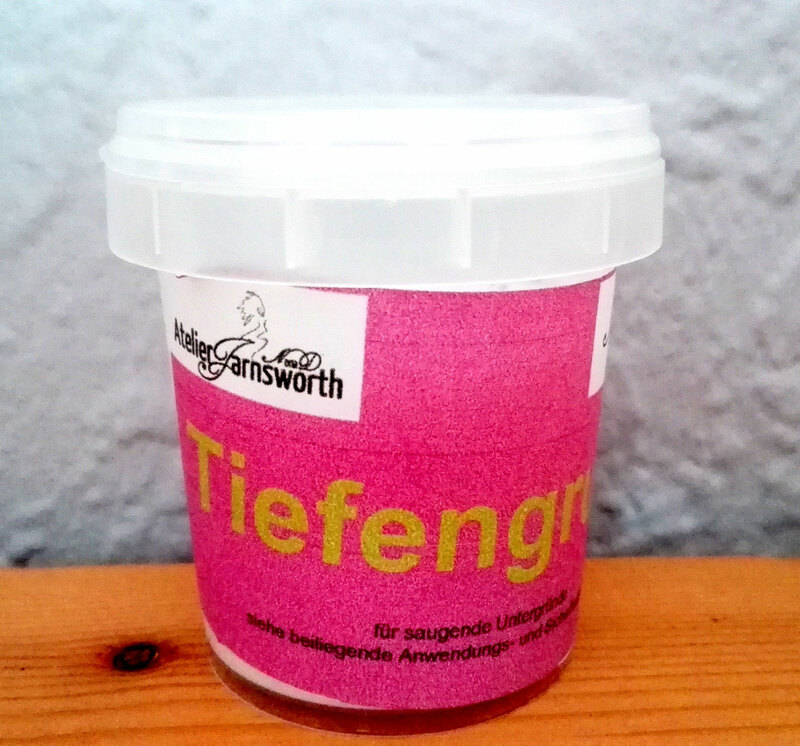 Filled in 5kg containers, unbiased on how much you order! Our Containers are out of enviromentally friendly cardboard and bogus paper. For the sake of enviroment we waive outer package.We are sending up to 25kg in one stable cardboard. All prices include value-added tax! Please request seperate invoice! Through the contact form! Bill without 19% german value-added Tax. Extra costs can result by the import to Switzerland. 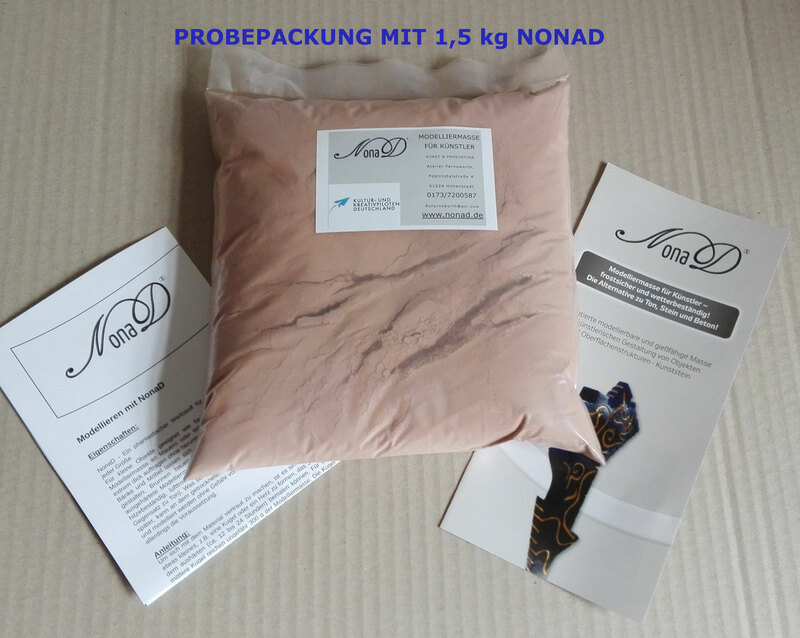 NonaD is suitable for your own coloration with cement based Pigments. If you want to paint on it a white primer isn`t needed. The perfect ending for your sculpture. 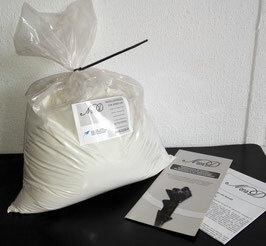 Recommended as underground before painting with acrylic paint - wet on wet system - for the special support of your colors. Suitable for waterproof designs as wells, watercourses or bird baths. solvent-fress, water dilutability primer based on acrylic-mixedpolymerisat. Perfect primer, high yield, environmentally friendly. Sufficient for at least 2qm of NonaD surface.